Sometimes parents just don’t know what’s best. Drew Barrymore and several other celebrities had to take drastic steps to free themselves from their parents. Despite growing up in the public eye, Drew Barrymore is incredibly protective of her privacy and does not address her relationship with the rest of the Barrymore clan often. But in an interview with Marie Claire (February issue), the 38-year-old actress spoke out about her lack of connection with mum, Jaid Barrymore, and how she enjoys the wholesomeness of her husband, Will Kopelman’s, family. Barrymore always had a strained relationship with her parents (her father John Drew Barrymore passed away in 2004). She chose to emancipate herself from her parents at 15 years of age and hasn’t recovered a bond with her mother even to this day. At least now Barrymore has a very solid support system. The actress married Kopelman in 2012, and the couple welcomed their daughter, Olive, that same year. Barrymore announced that she is pregnant again in November. We think Drew will be all right; she’ll figure it out. Kate Hudson was born to Academy Award-winning actress Goldie Hawn and Bill Hudson, who fell out of touch with Kate following the couple’s divorce shortly after her birth. The actress was raised by Hawn and her long-time partner, Kurt Russell. Hudson remains out of touch with her biological father. 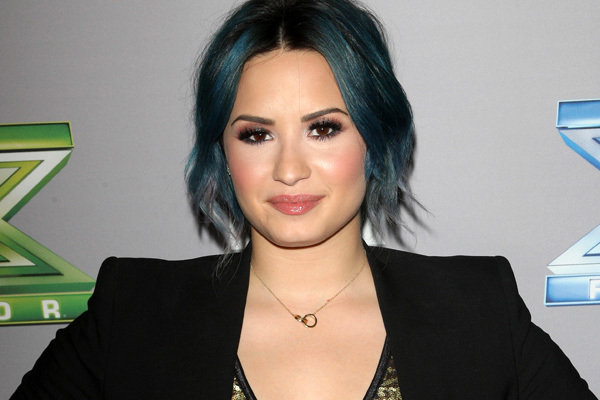 Demi Lovato has allegedly not spoken to her father since 2010, stating that it was a good decision to make, albeit difficult. Lovato is still incredibly young, so we’ll see where that goes. Jennifer Aniston has been out of touch with her mother, Nancy Dow, for more than a decade now, after the latter gave a very detailed interview about the nature of their relationship. Aniston viewed this as a violation of trust and severed all ties. Naturally, Dow then published a tell-all book about her daughter. . . like any mother would. Angelina Jolie has been estranged from her father, Jon Voight, for years, with the latter often making public statements regarding his daughter. The two reconciled following the death of Jolie’s mother in 2007. Christina Aguilera has been estranged from her father, Fausto Aguilera, for a while now. The singer claimed that he was physically and emotionally abusive to her but has also recently hinted that she may be ready to reconcile. Only time will tell!